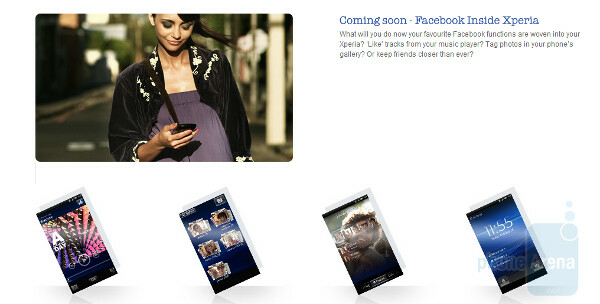 Sony Ericsson has come together with Facebook to offer Facebook inside Xperia which the manufacturer says is like having the social networking site live inside your Sony Ericsson Xperia. Users just need to log in once to obtain the Facebook functions on their handset, and notification alerts will appear on the lock page. Instead of having to use the browser on your phone or calling up a Facebook app to access pictures, contact numbers, and music, Facebook inside Xperia allows you to "like", share and comment on tunes and pictures right from the music player and gallery on the Sony Ericsson Xperia. Check the Facebook media recommendation app to see what music and videos your pals like. And you will be able to stay close to your network of friends by checking the Xperia phonebook for their likes, interests and news besides their phone numbers. Because your Xperia will automatically sync its calendar with your Facebook schedule, you will never miss a friend's birthday or anniversary or even just a friendly lunch date. Notifications appear on your phone's lock screen, so there is no excuse for missing an important meeting. 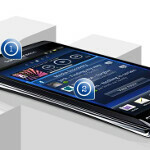 The service will be pre-loaded on the just announced Sony Xperia Mini and Mini Pro and will be offered during the second quarter to the Xperia Arc and the Xperia Play. this is exactly what wp7 does right? Finally a phone that fits in my pocket!!!! I can't wait!!! !